The hacker is asking for $1,000 to give him back the page. At the beginning of this year, Soulja Boy was the biggest thing in hip-hop. Nobody really ever cared about his music but his troll posts helped him get back to the height of his popularity. When songs like “Crank That” and “Kiss Me Thru The Phone” came out, Big Drako was enjoying major success as a viral sensation. He credits himself as somebody who has influenced every new rapper in the game, patting himself on the back and urging everybody to remember all the insanity he has achieved. The man literally launched a SouljaGame and SouljaWatch last year and made bank from the business moves. The rapper reportedly violated his probation this month and he’s been spending time behind bars since then. If that wasn’t enough, his social media was also hacked when a random girl showed up on his live-stream, asking for $1,000 to give him back his access. 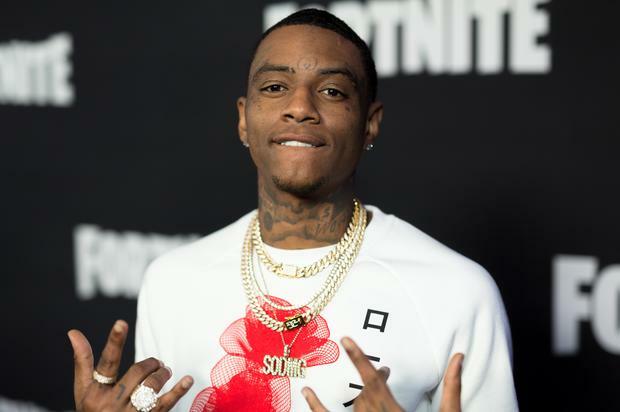 While he serves out the remainder of his time in jail after violating his probation, Soulja Boy will need to deal with something right away whenever he gets out. A female hacker busted into his account on Instagram, going live and telling people that unless she gets a rack, she won’t give Soulja back his handle.